The Weitz Center serves as a working laboratory for creativity—not only in the arts, but across the entire curriculum. It positions the college as a national leader in arts programs by creating an environment that fosters creativity, critical thinking, collaborative working skills, and cross-cultural exploration. 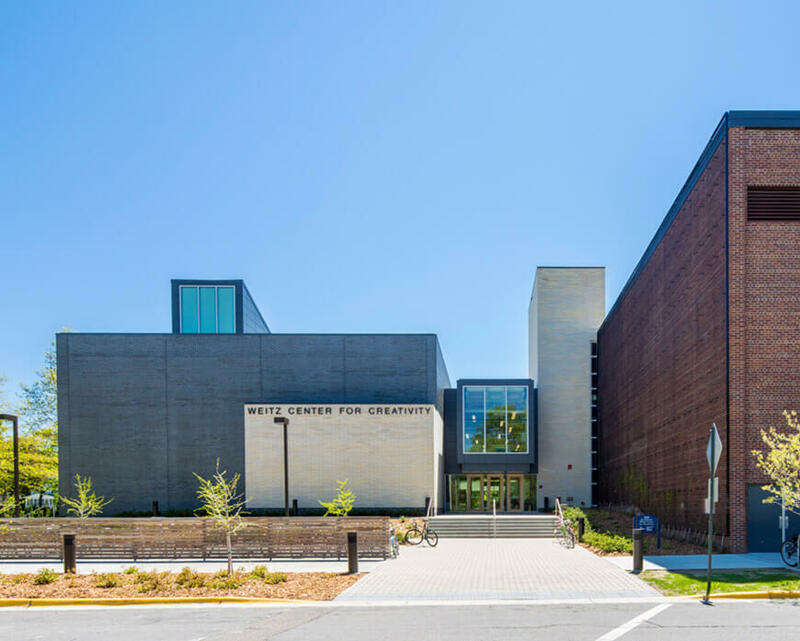 An adaptive reuse and expansion of a former middle school complex, the center houses the departments of studio arts, dance and theater, and cinema and media studies. It incorporates classrooms, studios, a teaching museum, performance spaces, and state-of-the-art collaborative spaces.